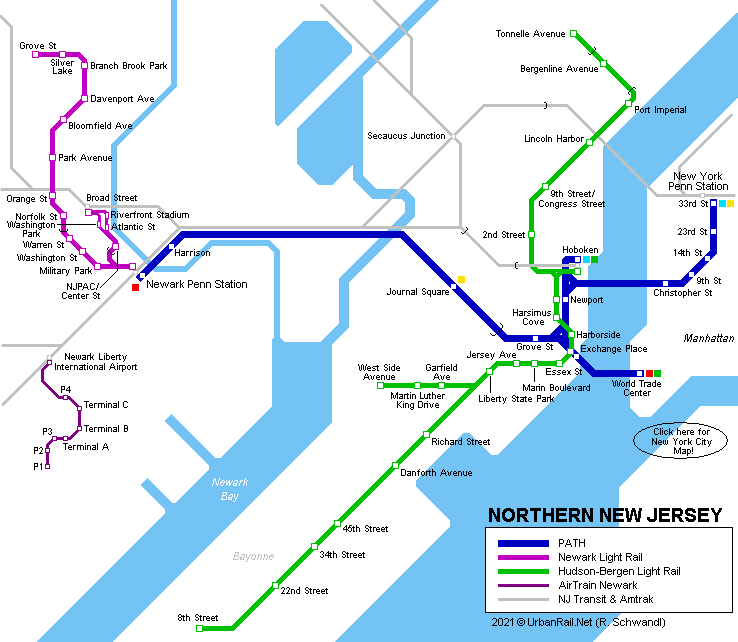 The New Jersey side of the New York metropolitan area (west of the Hudson River) does not have as much rail infrastructure as its more famous neighbor, New York City, but still features various systems including the Newark Light Rail, PATH, Hudson-Bergen Light Rail, and New Jersey Transit Commuter Rail. 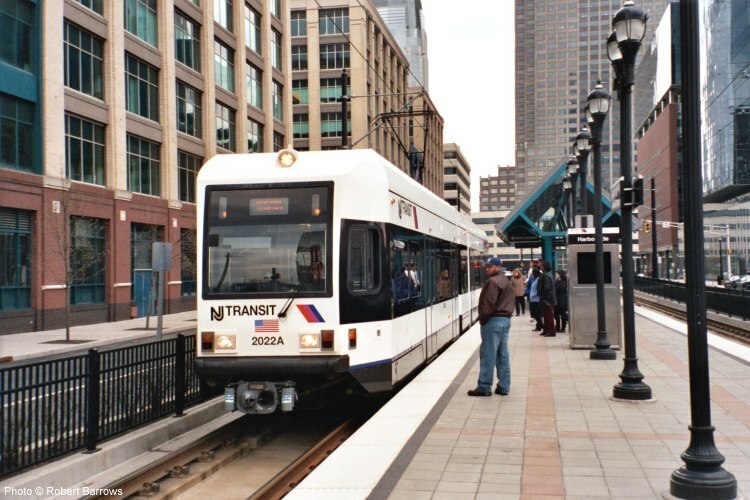 This light rail subway, originally built as a downtown subway where many streetcar routes converged, became over time the last remaining part of the system. 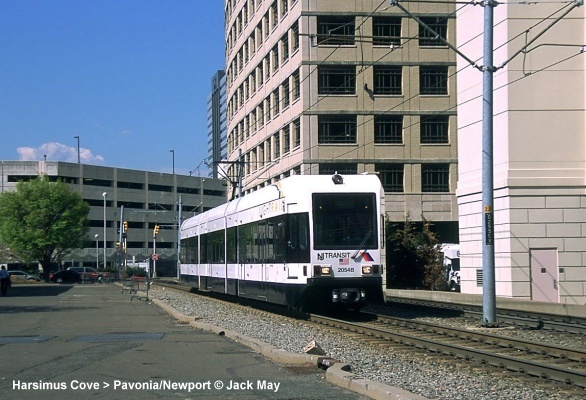 Up through 2001, PCC tram/streetcars were used, but they have recently been replaced by modern LRV's. The tunnels travel through what was once the Morris Canal, a major trade artery in the area that ceased being used with the introduction of railways and became an unsanitary and unpleasant feature. 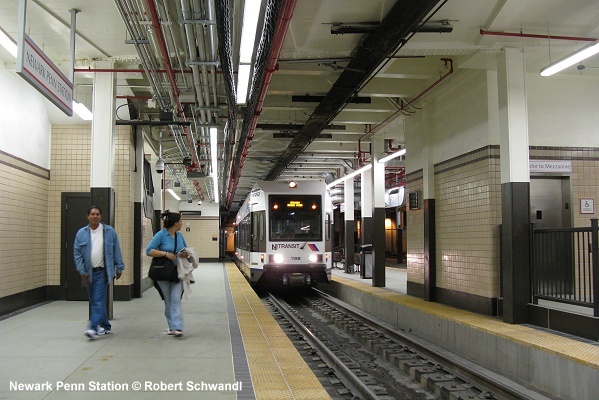 In November 1929, construction of the line began, and on October 3, 1934, the tunnel began taking trains between Warren St and Heller Parkway. 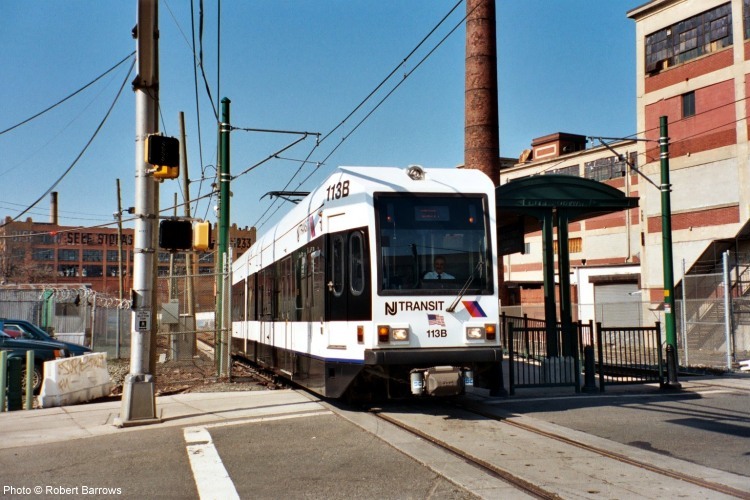 A new segment, referred to as Newark Light Rail, from Newark-Penn Station to Newark-Broad Street Station open in July 2006. This segment is partly underground and then continues at-grade. 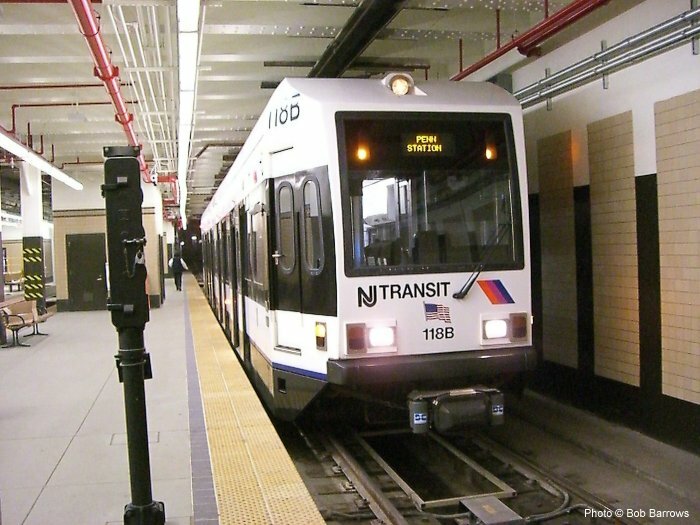 Eventually, the line is planned to connect to Newark-Liberty International Airport, south of the city. 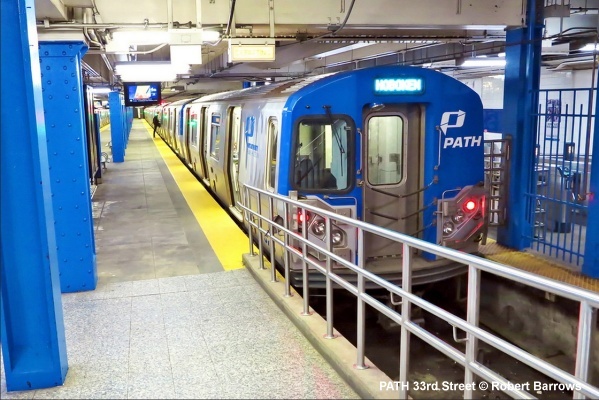 PATH, one of the faster metro systems in the United States, has its origins in the Hudson River Tunnel Railroad founded by DeWitt Clinton Haskin and Trenor W. Park in 1874. A court injunction was obtained by the local ferry company, and work on the project finally commenced five years later. 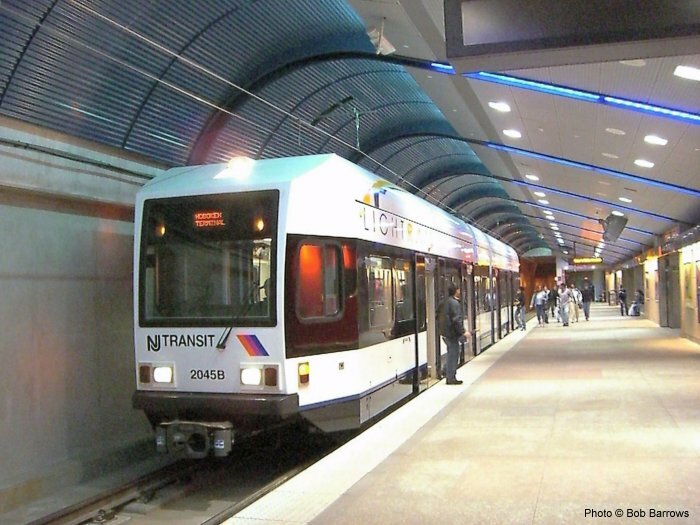 Less than a year after that, 20 workers were killed when the tunnel flooded. At the beginning of 1881, construction was resumed but repeatedly stopped while an injection of money was sought after. 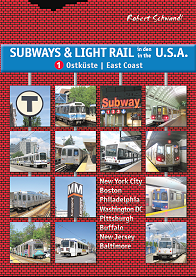 In August 1891, the company went bankrupt and finally the north tunnel of the north crossing was completed in 1904. 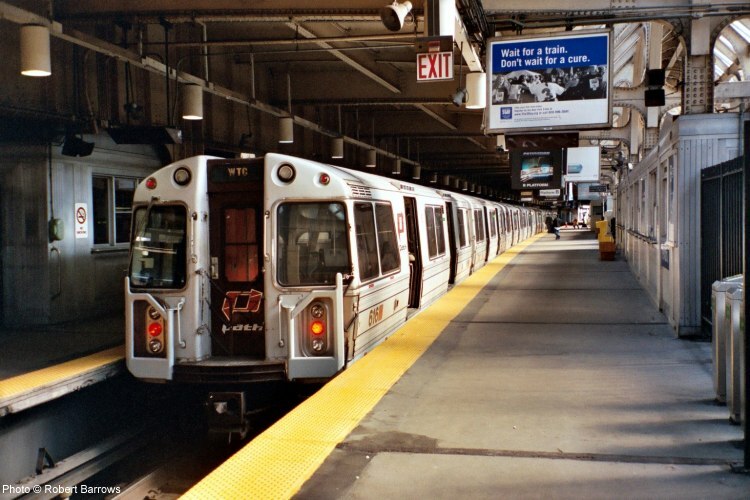 The next year, the south tunnel was opened. 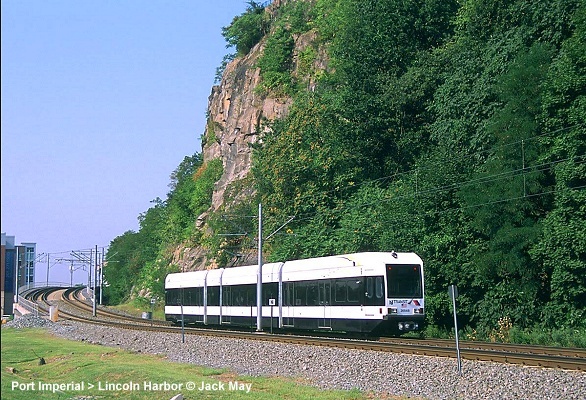 In 1908, service began on the line, with the southern river crossing opening in 1909. February 25, 1908- Service begins Hoboken-Christopher St? 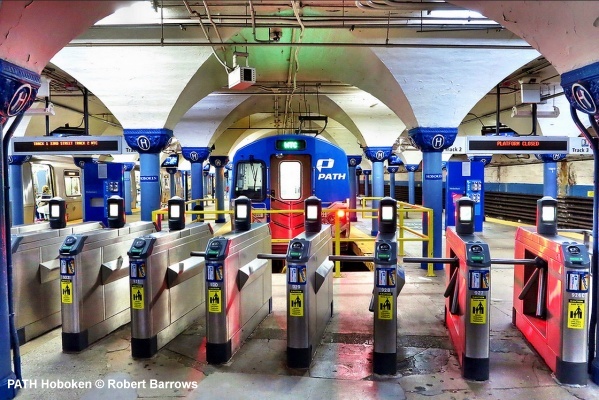 A new station is under construction at World Trade Center, where a temporary station is currently in service. 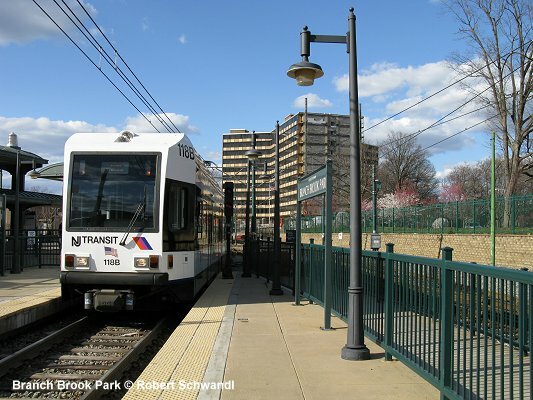 This relatively new light rail system features electric, low-floor cars that operate along the corridor between Bayonne and Hoboken.